This Unit Plan details the process of writing a persuasive essay about world religions. The goal of this unit is to align writing content with social studies world religions content with the end goal of writing a 5-paragraph essay about a religious controversy. This is a three-week unit that heavily emphasizes research skills. Students spend the first week researching, understanding their topics, analyzing the reliability of sources, and learning about paraphrasing/ plagiarism. Students spend the second week drafting their essays. The third week is spent revising the essay. 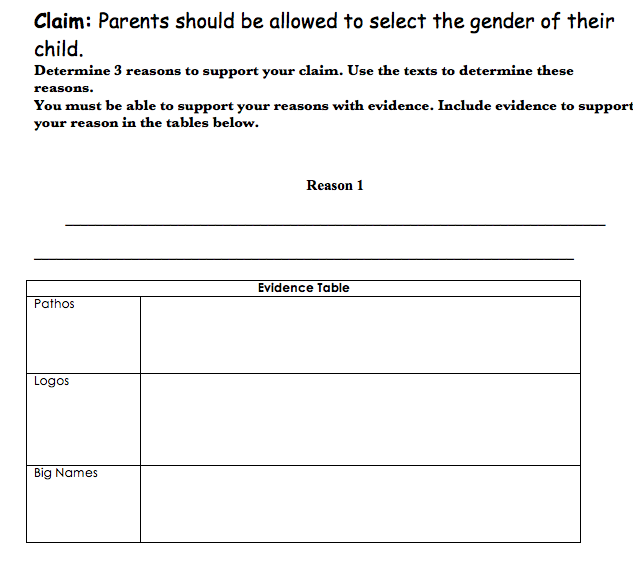 By the end of the unit, students should be comfortable with the idea of making claims, supporting their claims with reasons and evidence, and ultimately drafting an essay. 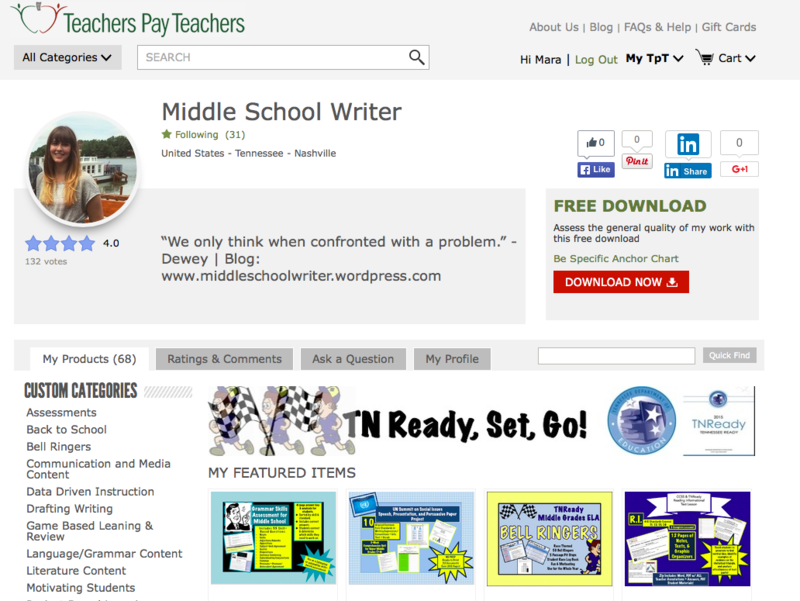 This unit can be used with 7th graders at any level. The two topic choices differ in complexity. The Unit Plan includes a unit overview, standard alignment, and sample lessons. An overview of the lesson is provided below and the Unit Plan as a PDF and Word file is provided at the bottom of the page. 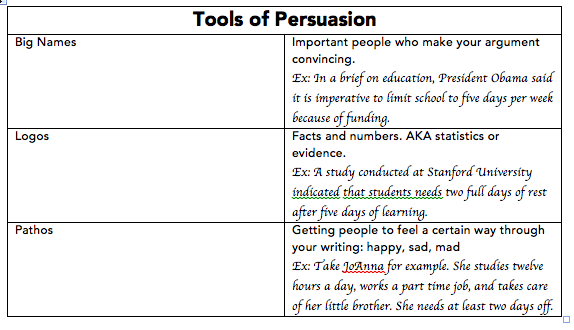 Students begin the unit by understanding what persuasion means and its historical origins via a Ted ED talk. Then, we begin to talk about the importance of being able to develop an argument for a topic you may not agree with. Masters of persuasion are able to construct arguments with a thesis statement and strong reasons, even if they don’t personally agree. While developing arguments, mini-lessons about the rhetorical triangle are spiraled into the unit. 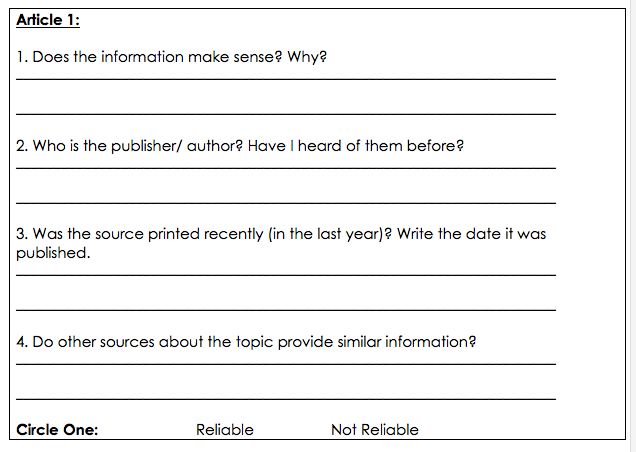 After understanding how to construct an argument, we shift our focus to understanding what makes a source reliable. 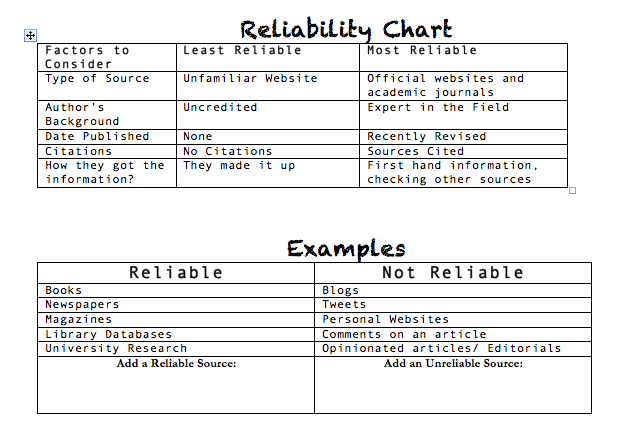 We then practice analyzing if sources are reliable using our key points about what makes a source reliable. Finally, students are introduced to the writing project. Students have the choice of TWO case files, which include the articles they will use to construct their argument. 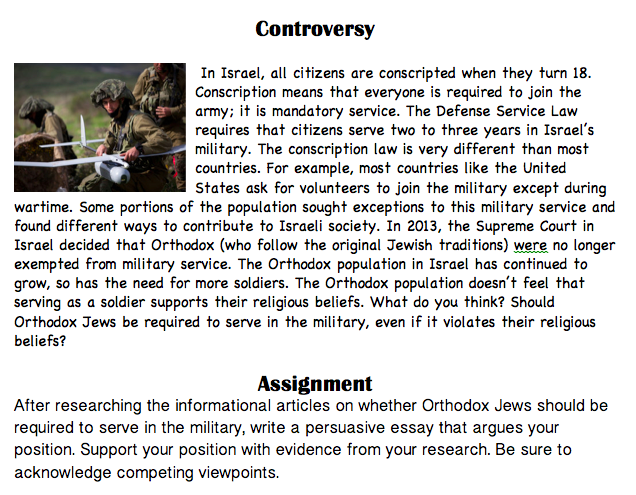 Students select whether they want to focus on a controversy within Islam or Judaism. The articles are leveled; the Islam Case File is more complex than the Judaism Case File. I encouraged students to select a particular case file based on their reading level. After reading and annotating the articles, we discussed the controversy in small groups and the assignment prompt. Students then begin writing and revising their essays.